2015 was my first visit to Kardinia Park, that late season fixture where the Cats said piss off on your bike don’t come Monday thanks for the memories to Stevie J, James Kelly and Mathew Stokes. Sensing that a rare Adelaide win down there was on the cards, instead I endured a fairly feeble, never-in-it effort, even though Geelong were out of the finals race. Last year I took my offsider for a dad and daughter road trip, here, with a similar disappointing result. This year we decided to butter up for another crack at Moorabool Street, sensing, nay, hoping, that this could be our year. My tipping has been a B+ this year; I tipped my mob in both the Almanac tipping comp and the Footy Maths Institute comp, the latter a unique head-to-head comp that requires both teams and margins to be tipped. It sustains my interest until the final siren of the Sunday twilight game most weeks, with results often decided by the final kick of a Subiaco fixture at the three tier stand end. But my true thoughts were revealed during a brief “Are you going tonight?” chat with John Harms before the game. I can’t shake off the Kangas and Demons losses; hope rather than expectation is my reason for going, I told John, who was sensibly staying put. On last year’s train journey, we were wide eyed during our late afternoon, mostly daylight, trek down to the little smoke. 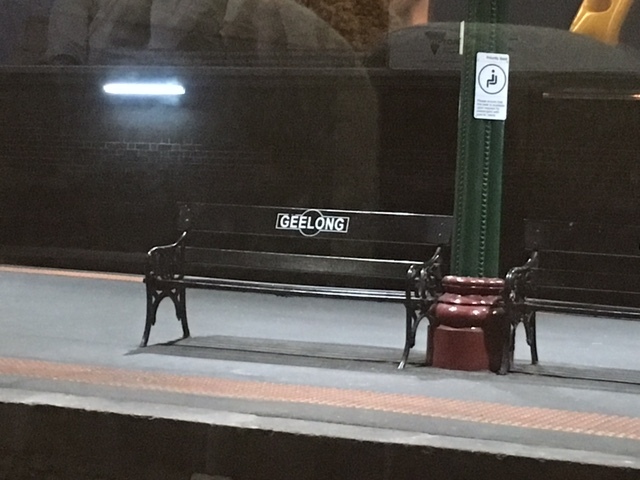 This year’s 5:07 to Waurn Ponds was accompanied by darkness so we turned our gaze inwards. Miss Year 12 was re-reading Nineteen Eighty Four but I chose something with more substance and meaning, tucking in to Rounds 6 through 11 of Yvette Wroby’s The Siren’s Call. We’d decided to try our luck with some country style cuisine once we got in. 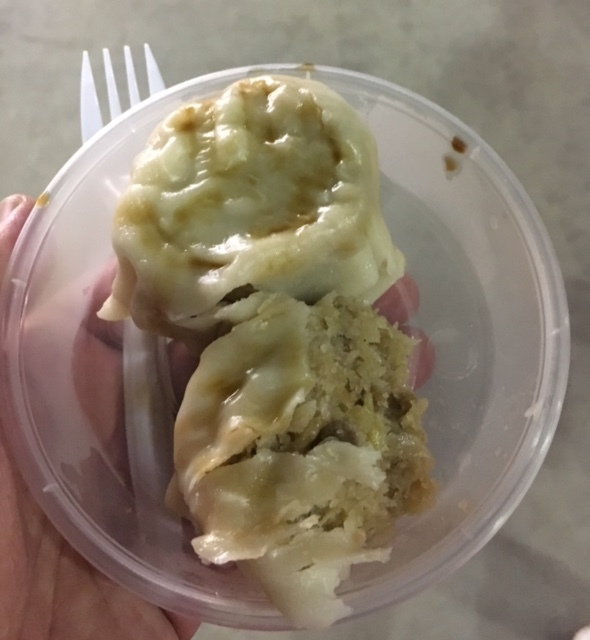 I’m not sure which country we settled on, but the steamed Dimmy Bartels and dumplings did the trick. I’d booked our seats in early April, I knew we were close to the fence, but it hadn’t twigged that we were also adjacent to the Adelaide race. Not only did we get a close-up view of the Crows pre-match activities, Channel 7 had also set up just in front of us. Bruce the Greater was wandering among the Adelaide officials, perhaps passing on a tip for the Angle Park greyhounds (which makes me wonder whether there is a dog track in country NSW called Reverse Angle Park). Bruce the Lesser was there too, carefully rehearsing his live to camera piece for their SA news. I spied Bruce the Greater trying to collar Don Pyke for an interview, but the coach looked downright annoyed at the suggestion, leaving Lionel Bradley’s best known protégé hanging embarrassedly. 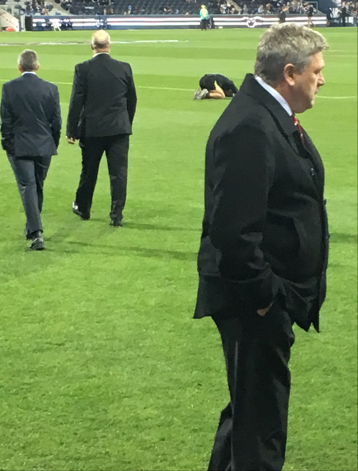 Soon thereafter, Brian The Boofhead materialised, which seemed to be the cue for Macca to trek back over to the Brownlow Stand side, fresh airing BTB in the process. Abba wandered over to BTB with a consoling handshake, passing on that ol’ Bruce did the same to Brasil last week, and even Bricho and Brarce had recently felt his scorn. I smiled for the final time of the night when Eddie Betts launched a left foot torp from the boundary which bisected the Players Stand end uprights, before he returned to the rooms. I later reflected that he may be the Brent Croswell of small forwards, needing a big home crowd to inspire him into action, as he was rarely sighted during the match. The cheer squad loomed, unfurling a banner celebrating the century for Josh Jenkins. His 101st might be a few weeks off. Geelong made a brisk start, and I noticed that Dangerfield was roving to Jacobs’ hitouts far better than his ex-teammates were. Geelong played their skinny dungheap cleverly, creating space when it was needed by them, but denying it to us when they didn’t have the pill. Adelaide kept within striking distance in the first quarter, not out of it, but never threatening to get on top. The second quarter saw Geelong chuck the ball around with the sort of abandon that will probably attract an open letter to Brian Cook from Margaret Court on Monday. It was as if Adelaide thought that laying a tackle before marriage would invoke the wrath of the Devil (come to think of it, this could explain their loss to Melbourne). Geelong showed us up for what we really are, not enough players capable of influencing the game, too many that rely on others setting up play. The Crows are too easy to shut down. When was the last time any of them crashed a pack or chased down a rampaging opponent? With the national carrier’s 4G network virtually byteless from my possie, my Twitter feed only refreshed when I took a quick comfort break. That noted footy commentator Chris Kenny had stuck out an ill-considered tweet demanding neutral umpires. How indeed would this work I mused? How would “neutrality” be defined? Surely, if there is a home-team bias, it is due to the human nature of, err, humans as umpires, responding to the vocal urging of the 95% there who are following the first named side, not some conscious bias due to the birthplace of the person in lime. I can’t remember Kenny squawking about the equivalent outcome when we are playing at home. Having said that, it wouldn’t do the game any harm to see the rules about correct disposal (including handball) enforced occasionally. Our brief comeback after the long break was fruitless, Geelong killing us on the rebound after we failed to liven up the electrons on the new you beaut Brownlow Stand scoreboard. We snagged a few cheap goals late in the last, turning what seemed like a 44 point loss into a 22 point one but could have been a 66 point one. Hugh Greenwood looked to be worth persisting with and I’m still a big Jake Lever fan, but our midfield and key forwards didn’t give a yelp. Matt Crouch didn’t stop trying, but I’m having trouble warming to his brother, although at least he occasionally got his hands on the yellow leather thing. 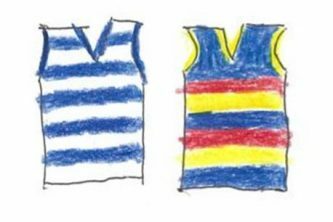 The Crows would be unbeatable if we played each game at the expanses of Elizabeth Oval, but they’d probably need to upgrade the High School car park and the Goodman Road entrance gates, so that probably won’t happen. As for Geelong, they seem to have bounced back from last year’s Prelim in better shape than Sydney and they put on a good show at home. Dangerfield and Selwood seem to be ok footballers, I hope our coaching staff have worked that out for next time. Speaking of which, if we are drawn to play at Geelong next year, I think I’ll give it a miss, especially if it’s at night. Great article Swish about a pretty poor night for the Crows. Not sure when our coaching staff is going to try to do something different when playing Geelong because recent history shows that what we are trying isn’t working. Swish, a tough night, but this piece at least makes up for some of it. Good to know Bruce the Greater has some taste. All Brent Croswell references score bonus points. I share your pain Swish. Some nice lines in sardonic despair. JJenkins gives you good material for that. Would love to know what Rulebook and Bookettes made of the performance. Sadly – with Norwood also losing – we will never know. Bloody average wasn’t it? After trekking to Geelong to witness terrible efforts 3 times in a row I think you’re justified in giving it a miss next time around! Love it Swish. Just wish I’d been there to take it all in first hand. Yes, PB, we need to throw the challenge out to Rulebook. He is a handy analyst and I’m sure he’d have something to say about what happened. To my (TV) eye the Cats won the middle – one of Z. Smith’s better games – and the Cats put the clamp on the ball getting past halfway. Stewart looked like he was Corey Enright because the structure was in place – a la B. Lake in the GF that year. You’d have to say C. Scott goes well v the Crows. And his players carry it out. Three successive KP win against quality opposition. That’s worth heaps. But what of the weird and wonderful losses to the runners of GC, Ess and Coll? Thanks for enduring this insipid effort so I didn’t have to, Swish. Part way through the third quarter and out of expletives, I turned off the tele (yes, a fair-weather supporter) and retired to my laptop and listened to the new alt-J album, which is as patchy as the Crows form. We seemed incapable of gathering the ball, and when Geelong had it, even more incapable of touching, let alone tackling them; as in your M.Court reference. Still, it’s a bit like beating India at home. And why shouldn’t the Cats have a home final? Of course they should, if they make the grade. Dangerfield and Selwood seem to be OK footballers. One of the great statements for the season so far. Cats seemed to be up for everything over the last month. If someone can figure out why they could be the newest billionaire on the planet. How do you rate your bottom 6 players? That seems to be the key for most teams. Had to sit through four plus hours of absolute hideousness this weekend, PB. Don’t expect us to write about it too? Truth be told I only watched a quarter of this game – enough to see which way the metaphorical wind was blowing and know my overall wellbeing was better served by doing anything else. Very funny given the circumstances, Swish. And to see a BT up close in his habitat – a rare privilege. That said I’m also finding the general Crows fan defeatist attitude (best observed on twitter) almost unbearable. No-one is that good this year and, despite the clear and acknowledged weaknesses, the Crows have every chance of being there at the pointy end. Pyke’s barely one and a half years (and one draft) into his tenure, with a 25-9 record (Clarkson was 10-24 after his first 34 games), yet is being compared to Craig (when Craig’s name is unfairly used as a pejorative). Can live without it – rather go and sit behind a tree at Unley. Looking forward to seeing JJ down the Parade this weekend. Rulebook is a deadset FTB (Flat Track Barracker). Last time he wrote about a Crows or Redlegs loss (other than finals) was…………..? (I think Robert Oatey was captain coach that day and Big Bill Wedding missed a sitter). Hear Hear PB – I’m sure we could flush him out by suggesting that Adelaide could have used the steadying influence of Troy Chaplin in defence! If you want a picture of the future at Kardinia Park, imagine a cat’s paw stamping on a crow’s face – forever. 1 Enright who killed us last year so there for the Cats haven’t got any 1 else to play the plus 1 role ? Surely playing players behind the ball hasn’t worked against the Cats but no we will do it again complete and utter incompetence. 2 We all knew S Selwood was going to Sloane so there for Sloane had to go to Danger or J Selwood ? Brad Crouch inj has seen him lose a yard of pace and he can’t impact games positively huge chance he will end up being regarded as a could have been. Adam and Eve were sharing apples. 6 Pyke revealing frightening similarities to Craig with lack of moves,stick to our structures and don’t dare make a move till it’s to late ok it was junk time but we outscored the Cats when it was finally six on six in our forward line,Laird,Lever tried on ball hello ? An enjoyable read, thanks Swishter. My most shocking observation: that you follow Chris Kenny on twitter. My most laughable observation: a Crows supporter complaining about incorrect disposal! ‘Book – the knock that Laird took early slowed him up. Enough of the Tarzan/Jane though. Point 6 is the key. Say hi to JJ for me. Smokie – Ta, else retweeted him into my timeline, I’d only follow him with a shovel. We may have invented the Crow Throw, but others have perfected it. Re Chris Kenny: Thanks for the clarification, old mucker! There is no accounting for some of twitter mates’ tastes. Dave Brown you are an insightful man – I also tire of the defeatist attitude of the majority of Crows fans. The supporter base seems to implode on social media every time we have a loss. I prefer to save my emotional energy for causes far more worthwhile. We’re 2nd on the ladder @ 8 – 3 and if we can get over St Kilda this weekend will be in a fantastic position to cement a top 4 spot in the second half of the year. In the grand scheme of things I’m also kinda glad that the playing group is being confronted by their weaknesses at this time of year, rather than at the pointy end. Lord knows I’ve seen plenty of ‘premiership contender’ Adelaide outfits get bundled out cheaply over the last 20 years. Great piece, Swish, almost fell off the chair once or twice. Ladder is weird, percentages all over the shop. Even the ladder-leading Monaros have faults, like half our starting 18 in the medical room. Swish, we have better 4G in the Otways now than they do in Geelong. As a Western Victorian, the best thing they ever did was put a road around the Little Smoke, ensuring a faster trip to the Big Smoke.